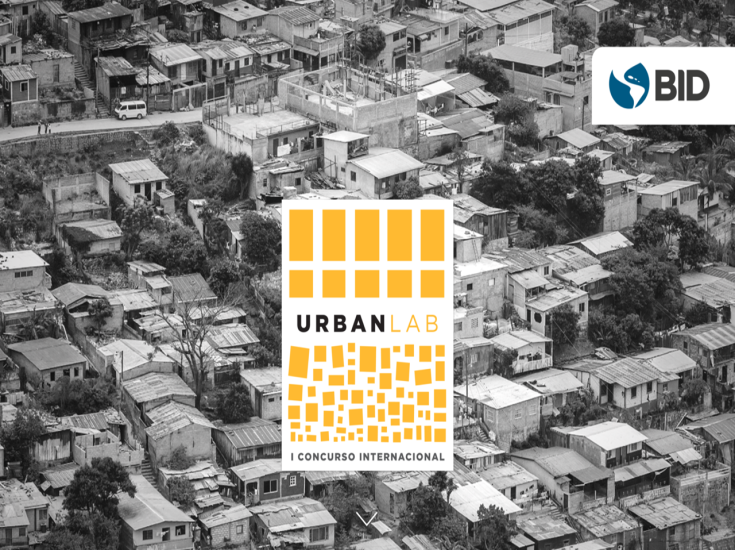 Cunningham | Quill’s Lee Quill, FAIA, CNU, Founding Principal and Oksana Ramos, Project Designer were invited to sit on the Jury for the Inter-American Development Bank’s (IDB) first international urban planning and design competition Urban Lab in late August and September. The competition was open to university students and their faculty advisors in Latin America and the Caribbean. The Inter-American Development Bank, headquartered in Washington, D.C., works to encourage development throughout Latin America and the Caribbean by providing opportunities for “innovative and effective solutions to the challenges of economic, social, institutional and environmental development.” The Urban Lab 2015 competition is a testament to this mission. 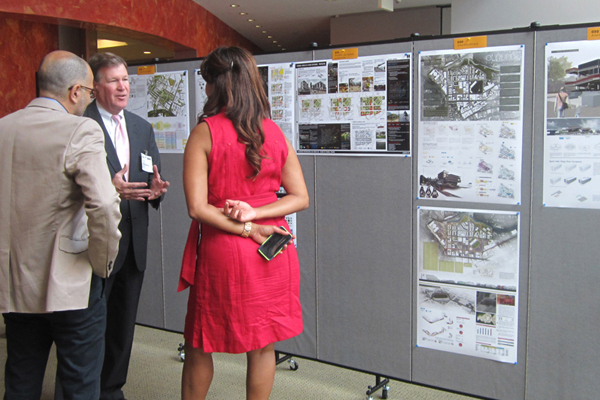 Lee Quill, FAIA, CNU speaks with co-judges Raisa Banfield, Vice Mayor of Panama City, Panama and Horacio Terraza, Sector Coordinator (ESCI) at the IDB. 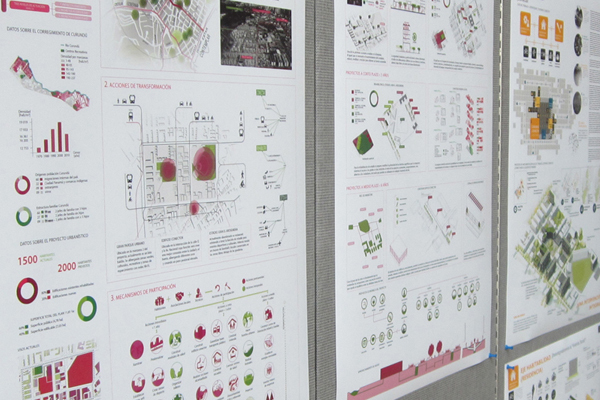 As part of the IDB’s Emerging and Sustainable Cities Initiative (ESCI), the Urban Lab 2015 competition was designed to encourage students and young professionals to take part in and “improve development patterns of cities through multidisciplinary approaches in the design and implementation of projects,” creating balanced and sustainable communities, improving lives in Latin American cities. The 2015 competition specifically called for the design of a comprehensive and transformative development plan for the Curundú corregimiento (neighborhood) in Panama City, Panama, an area just east of the former Canal Zone and north of the City’s historic center. Lee Quill and Oksana Ramos joined the Honorable José Isabel Blandón, Panama City Mayor; Raisa Banfield, Vice Mayor of Pamana City; Manuel Trute, Municipal Director of Urban Planning, Panama City; Diane Davis, Chair of the Department of Planning and Urban Design at Harvard University; Clara Irazáball, Ph.D., Director of the Latin Lab and Assistant Professor at Columbia University; and others on the prestigious and diverse Jury Panel comprised of professors, developers, urban planners, architects and sustainability experts and members of the IDB in two rounds of judging in August and September 2015. Detail of competitor design submissions. In developing their plans, student competitors were challenged to consider land use and urban planning, mobility systems, green public and recreational areas, amenities, location of public transportation and other infrastructure. Other factors included socially conscious housing strategies, existing functional infrastructure and structures, community engagement, design sensitivity regarding economic and social characteristics, as well as environmentally sustainable solutions. The winning team will have the opportunity to continue shaping heir proposed urban strategy in cooperation with the Mayor of the City, Curundú constituents, and IDB specialists in a planning and strategy forum hosted by the IDB Urban Lab between October and November 2015 in Panama City. The Curundú neighborhood is industrial and has a high rate of poverty. Deteriorated and abandoned buildings, informal housing and very little green space characterize this blighted area between the former Canal Zone and newly developed areas of Panama City. Located next to the Curundú River, unresolved flooding has led to precarious infrastructure and treacherous living conditions. Home to over 19,000 Panamanians the corregimiento (neighborhood) is in dire need of sustainable revitalization. Finalists from Peru, Guatemala and Panama presenting their proposed designs. The three finalists announced on September 4th from Peru, Guatemala, and Panama, have embraced different tactics for increased sustainability, connection and revitalization of the neighborhood. Curundú: Model Sustainable City (Universidad Nacional del Centro del Perú) analyses and reinterprets the infrastructure of the neighborhood while also emphasizing the necessity of quality public space. Curundú Connect (Centro Universitario de Occidente, Universidad de San Carlos de Guatemala) focuses on the power of connection, both physical and social, in order to inspire value in the neighborhood from the inside out. Curundú Emerges (Universidad de Panamá) seeks to revitalize the neighborhood through infrastructure alignment and connectivity with surrounding neighborhoods and eventually the rest of Panama City. The winning proposal was announced on September 28, 2015 at an Awards Ceremony open to the public and held at the IDB. A unique component of the winning proposal Curundú Emerges was the study of the Curundú River as an environmental asset that sets it apart from other neighborhoods in Panama City. The winning finalists and a list of the 30 semi-finalists can be found on the BID Urban Lab Website here: http://www.bidurbanlab.com/finalistas/. 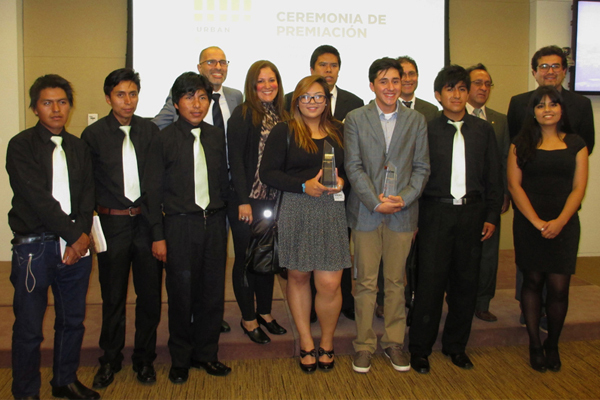 Finalists and the winning team from Universidad de Panama (Center) at the Awards Ceremony held at the Inter-American Development Bank.